Summary: Powerline adaptors are better than they used to be but they aren’t without their problems. I’ve recently moved house and didn’t want to go to the time and expense of wiring up my new house with CAT6 ethernet, so opted for some Powerline adapters instead. I’d used an early set of these (85Mbps) back in 2007 but standards have definitely advanced in this area and now we have 500Mbps adapters (well sort of) so I thought it was worth revisiting the technology. My local computer store had a couple of TP-Link units in stock (WPA4220 Starter Kit) and I bought them on a whim. Plugging them in and getting them working took all of five minutes and voila – connectivity! The speeds weren’t great (around 80Mbps on average, so 5-6MBps on file transfers) but then my house was built in the 70s so it’s not especially modern and that does affect speeds. The bigger variable in my case was the fact I have a three phase power supply, rather than the more usual one. At first I thought this would prevent or greatly hinder my use of powerline networking but my powerline networking works just fine over multiple power phases (apparently a shared consumer unit is key). Speed is affected (my dropped to 60Mbps when crossing phases) but I’m really just using it for web browsing and streaming some video which seems to work fine. UPDATE APRIL 2015 – I’ve now done some testing with iPerf and my speeds are lower than those reported by the TP-Link utility – often significantly. For example TP-Link reports 75Mbps when iPerf reports 25Mbps for the same link. Even allowing for protocol overheads there’s a significant discrepancy. I think TP-Link may be reporting ‘theoretical’ speeds achievable over my powerlines (using the PHY layer) whereas ‘real world’ transmission is impacted by many other factors. Still, I can stream HD without issue most of the time. The problem seems to be certain types of traffic don’t pass through the wireless AP, even through plugging into the wired http://premier-pharmacy.com/product/abilify/ powerline socket on the same unit works fine. I quickly identified that DHCP broadcasts weren’t being received by wireless clients so devices were failing to renew their leases and dropping off the network. A simple reboot of the TP-Link resolves the issue for a while but it recurs within a few hours. Interestingly setting a static IP seems to be a good partial workaround as the wireless AP is still working and sending most types of traffic, but some devices, like the Chromecast, only support DHCP. For my Chromecast I’ve therefore set my DHCP server to reserve an IP for about a year! To alleviate the issue even further I’ve now bought a mains timer switch and automatically reboot the unit twice a day – a horrible hack, but it works. When the wireless fails I can’t even ping the TP-Link’s IP address wirelessly, even though i can ping my router and other devices on my network, and I can ping the TP-Link via a wired connection. Frustrating. UPDATE: 27th November – I’ve now also tried a TP-Link TL-WPA281 which is essentially the older variant which only offers 300Mbps for the wireless AP. Sadly this behaves the same way. I’ve also experimented replacing the wireless functionality of the TP-Link with an old Netgear unit (WGR614v9) (I plug the Netgear into the TP-Link, so I’m still using the powerline aspect) and that seems to work flawlessly so I still think the TP-Link devices are the cause of my wifi issues. Actually, this problem seems to have been solved on the latest version of the FW, but TP-Link is notoriously very bad at communicating or explaining what they have done in their update. You first have to select your hardware version (can be found on the sticker). If you have a V1 version, you’re stuck with the bug. If you’ve got a V2 or V3 version, then the bug should not be present. If you’ve got a V1.20, updating is not trivial, you have to update the powerline FW part first throught TpPLC utility, then the actual FW via the web interface. It really hasn’t completely solved it for me. Some things work better, but I still have to reboot my WPA4220 at least once a day if I want (for example) my tablet to keep talking to my PVR. How to upgrade from TL-WPA4220(EU)_V1_140401 (1.2.8 Build 140401 Rel.49960n)? Hi to all you guys out there who obviously know what you’re talking about, most of which is beyond me. Why, you ask is she on here then? Simple, to see if I can get help/advice on getting my wifi through to the Smart tv so can start getting what we paid for, Netflix, catch up etc. Thought it was the tv but Costco – BESTEST place for buying as guarantee and refund if their engineer can’t sort the problem AND he comes to the house. Hope that was useful as I’m here trying to pick brains …. Anyway, as was saying engineer came and send the wifi isn’t getting through. Talktalk sent engineer and said signal is crap – distance from – and suggested an adaptor. 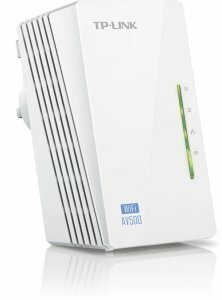 Bought TP AV600 but still nothing and been told wrong one – by the way, I had several emails from a very helpful TP link guy – and need WPA 4220. Sooooo (please don’t lose will to live and stop reading) went online and found this blog which is making me wonder if will be anothe refund. After 3 Years and lots of money wasted with these devices, I paid a guy to wire my flat to my main devices and set a good switch for the wireless access. I just only repent not having done so earlier. My opinion is that LAN signals through electric wires might only work on very modern installations ( newer houses). In my case the powerline regularly unsynchronized when watching internet TV (as the main but not only issue). I hope, this helps.